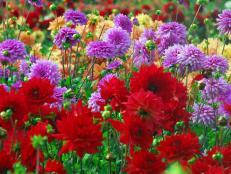 Chrysanthemums are hardy perennials that can bloom for weeks. It’s time to dress up porches and patios with containers of fall mums, or to plant them for sweeps of color in your landscape. 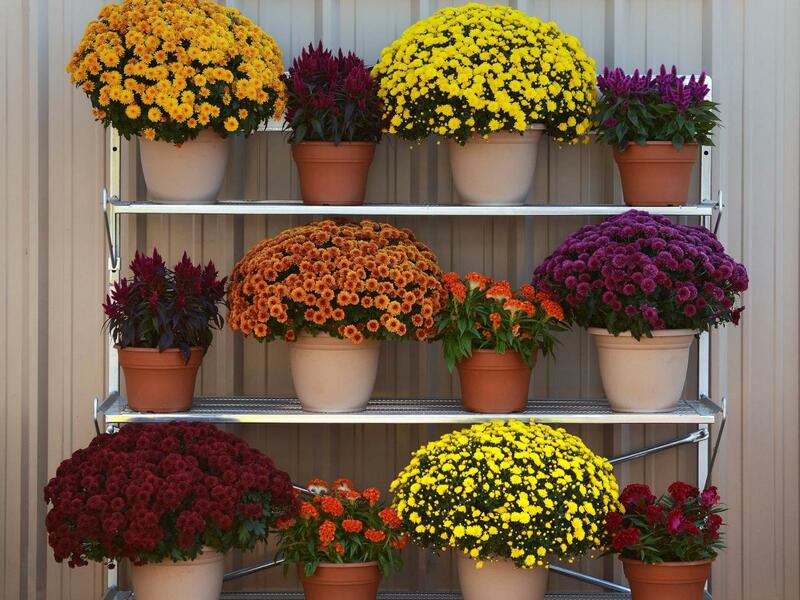 Chrysanthemums aren’t just fall flowers; they’re practically the fall flower. For the longest period of blooms, buy mums with buds that are just beginning to open. 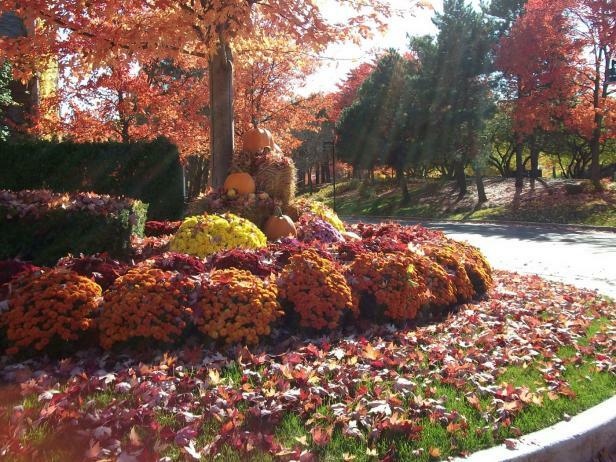 Then keep the show going with more autumn blooms, like these. 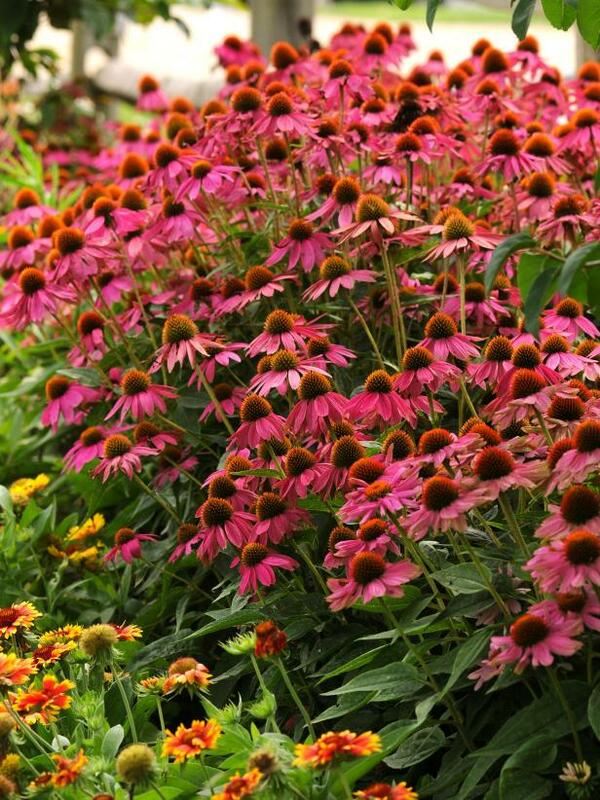 Echinacea 'PowWow Wild Berry' is an All-America Selections winner. Lure songbirds to your fall garden with echinaceas, also called coneflowers. 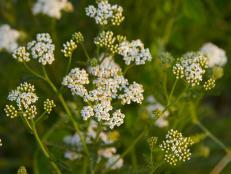 The birds will snap up the seeds when you let the flower heads dry on the plants. Butterflies also love these daisy-like perennials. Watch for blooms to appear starting in mid-summer, and don’t worry if the weather is hot and dry; echinaceas can take some drought. ‘PowWow Wild Berry’ flowers into fall, adding rosy purple color to your mum plantings. 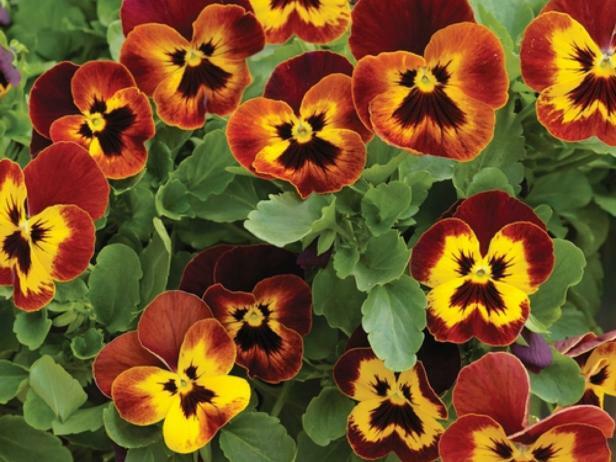 'WonderFall' Yellow with Red Wing pansies are trailers, so they'll spill out of pots, hanging baskets and window boxes, or simply spread over your garden. 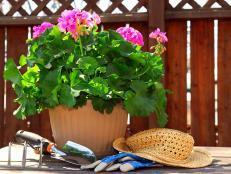 Wait until the weather cools down before planting pansies, which are also great companions for chrysanthemums. 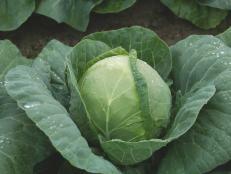 They grow best when the soil temperatures range from 45 to 65 degrees. ‘WonderFall’ has big, yellow and red blooms and a spreading growth habit, so you can use it in your beds and borders to help cover the ground. Helenium 'Double Trouble' has bright yellow, double flowers that last into early fall. 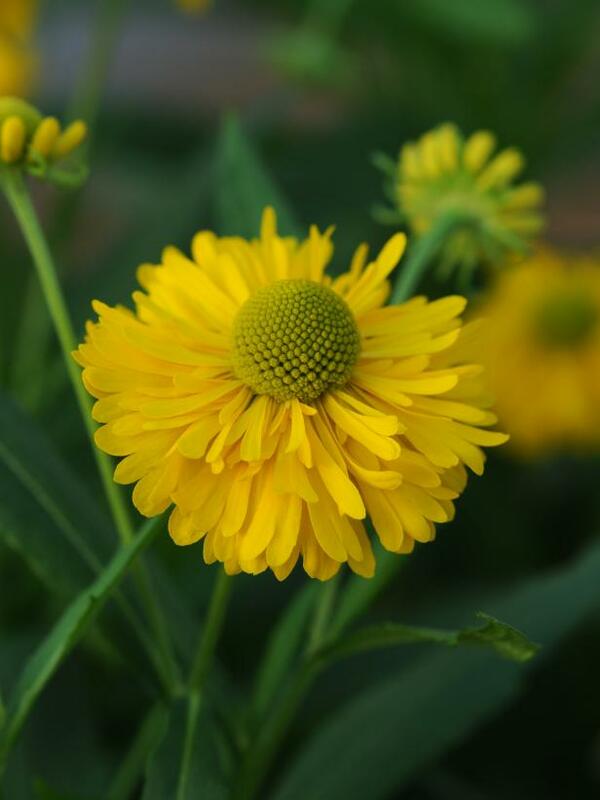 Don’t let helenium’s other name —autumn sneezeweed—put you off. It’s a dependable perennial that blossoms from late summer into fall, and flowers are available in colors like yellow, gold and bronze or mahogany-red. For the biggest impact, plant heleniums in masses and give them full sun. 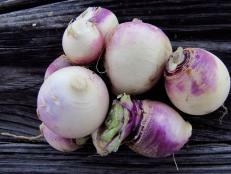 You can sow the seeds in spring or autumn, as long as the temperatures are at least 70 degrees. and expect them to sprout in a week to 10 days. Or if you’ve got a friend or neighbor with heleniums, ask them for a few clumps when they divide their plants. Fall is a good time for dividing them in warm climates. 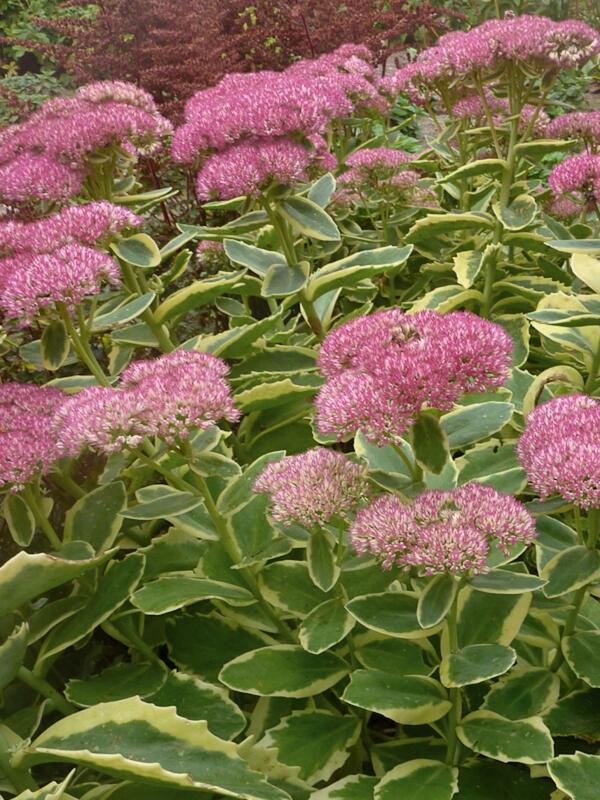 Leave the flowerheads of sedum 'Frosted Fire' on the plant to dry. 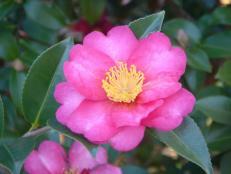 They'll attract hungry birds and add winter interest to your garden. Even when it’s not blooming, sedum ‘Frosted Fire’ plays beautifully with mums, thanks to its variegated creamy yellow and light green foliage. The rose-pink flowers start in late summer, drawing butterflies until they fade in fall. You can find sedums that tolerate partial shade, but most prefer full sun and need very little care. Although celosias are usually grown as annuals, many can overwinter in USDA zones 10 and 11. 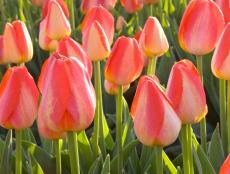 Sun-loving celosias are annuals that come in orange, white, yellow, pink, red and purple. Some of their flowers look like plumes or bottlebrushes,, while others resemble cockscombs. You’d have to start celosia seeds early in the year for fall flowers, but plants are usually easy to find in garden centers and nurseries. 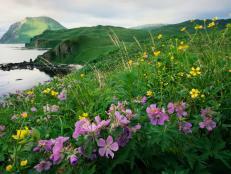 These carefree plants have attractive foliage, too, in colors like blue-green, chartreuse, purple-green and burgundy. Snip the flowers, if you like, and save them for dried arrangements. Caryopteris are small to medium-sized shrubs with aromatic foliage. 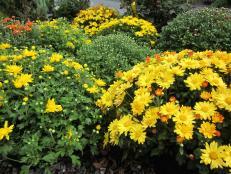 Flowering shrubs also make great partners for fall mums. 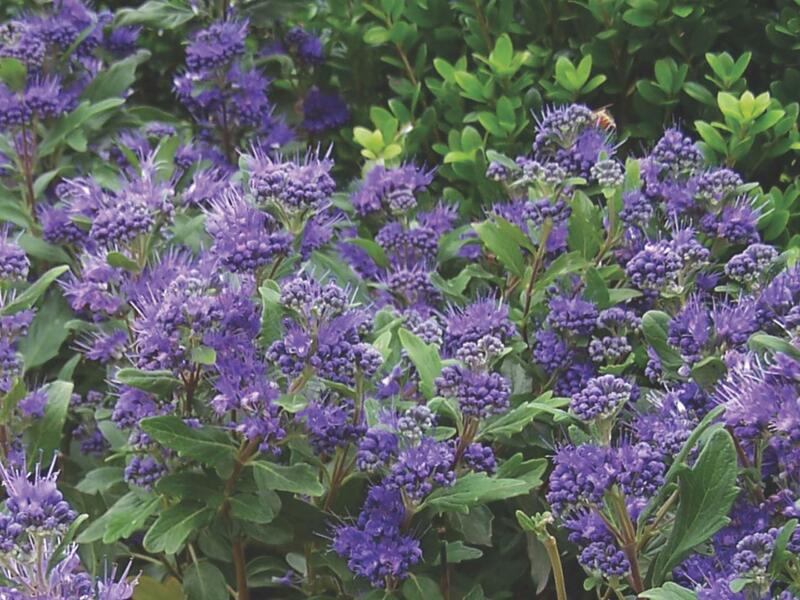 Caryopteris ‘Grand Bleu’ bears deep blue-purple flower clusters from late summer until the first frost. 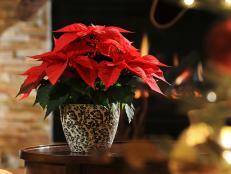 The undemanding plants are compact and tolerate heat, drought and full sun. Sometimes caryopteris is called bluebeard or blue mist shrub. Finally, don't forget to let your mums mingle with native plants and wildflowers. California poppy seeds are often sold in wildflower mixes for Western regions. Their orange and yellow flowers complement chrysanthemums from August to October (although these poppies usually bloom more heavily in spring). Big leaf asters (Aster macrophyllas) are ideal for shady Southeastern gardens, while New England asters (Aster novi-angliae) thrive alongside mums in the Northeast. Tip: choose short varieties of New England asters, so you won't have to do a lot of pruning when their tall stems get floppy.